The city of Ahmedabad is endowed with a rich architectural heritage. Hence it’s unique multicultural heritage makes it India’s first UNESCO Heritage City. 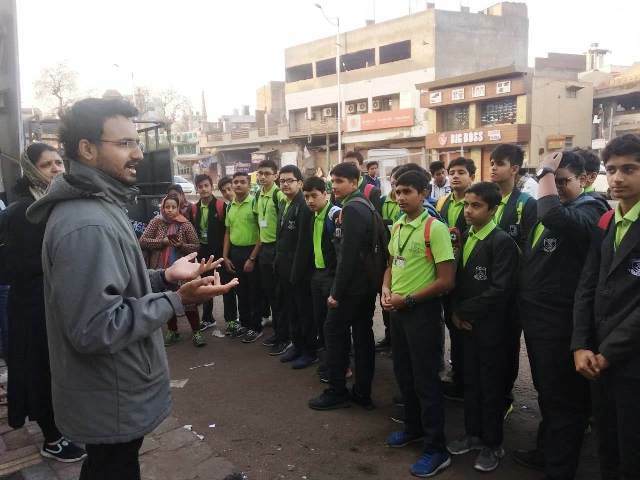 With the purpose of unveiling the First Heritage city of India to the future generations, St. Kabir School –Drive In New had planned a ‘Heritage Walk ‘ for the students of Std. IX on 2nd February 2019. They started their journey by walking through the narrow pol, ‘Dhal Ni Pol’, the living heritage and were excited to see the former settlement of ‘Ashabhil’ which Ahmad Shah had conquered by defeating Ashaval. The ‘Pol’ has some of the finest Indian Islamic monuments and exquisite Hindu and Jain temples. Its carved wooden houses were a witness of the unique architectural tradition of Ahmedabad. Then they visited ‘Deewanji Ni Haveli’ – a wooden haveli which showcased Indian architecture where film shootings and meetings take place. 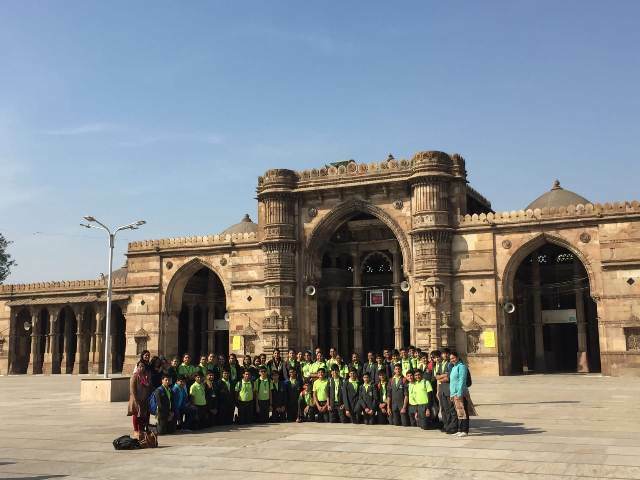 To experience the glory of Ahmedabad, the students then walked through the streets of ‘Manek Chowk’, a notable city square surrounded by historical structures and visited ‘Jama Masjid’ where they were astonished to see the wide open courtyard surrounded by columns painted with giant Arabic calligraphy. The children were also amazed to see the mosque with 260 columns supporting 15 domes and covered with intricate carvings. 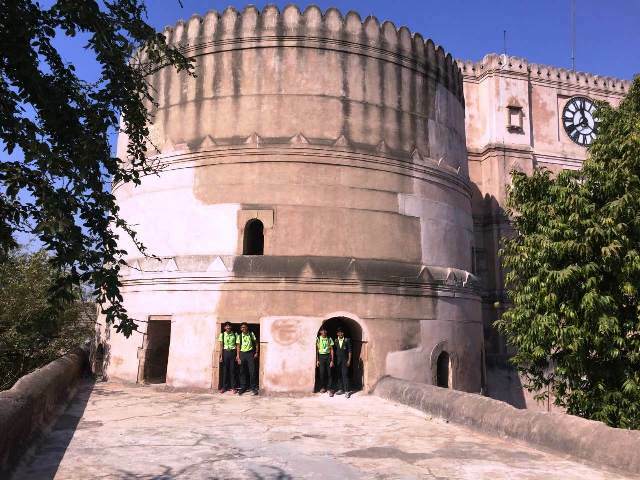 The heritage walk then continued to ‘Teen Darwaza’, one of the longest as well as oldest gateways of Ahmedabad city reaching another destination namely the ‘Bhadra Fort’. The fort looked magnificent with it’s arches and balconies which were ornately embellished. The children then went up to the terrace of the fort which served as a worthy view point to take a glimpse of the city. Then they continued their journey to witness theintricate stone latticework carved on the windows of ‘Sidi Saiyyed Mosque’, an iconic landmark of Ahmedabad. Lastly the students visited ‘Hutheesing Jain Temple’ which added to the existing beauty of Ahmedabad due to it’s wonderful architecture and religious significance. 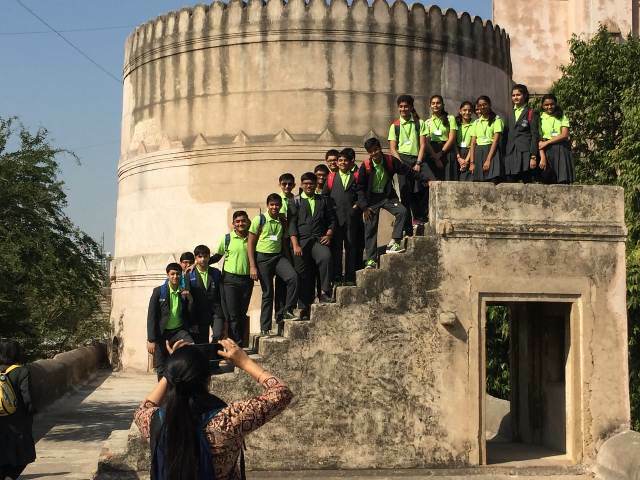 The students appreciated the great Indian heritage of our city at the end of the tour. It was indeed an enriching experience! !